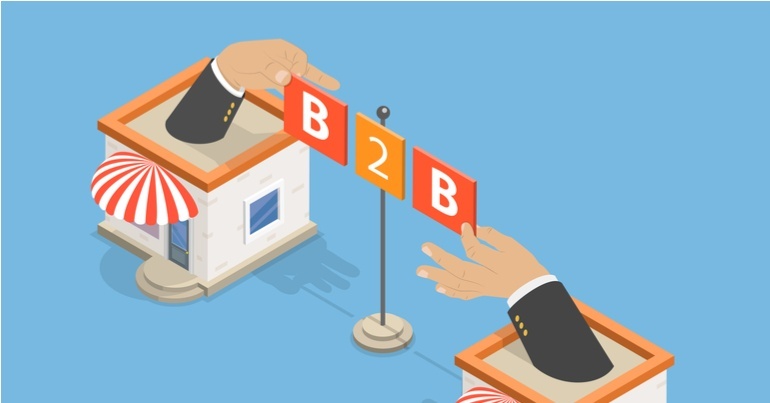 Going beyond the basics like "landing your first customer", here are 8 goals that every B2B business should have. Whether you are in the process of starting you first business or you are a veteran marketing manager, this article will apply to you. These are the 8 goals you should set out to meet for your company. There are probably dozens - if not hundreds or thousands - of companies competing for the same customers in your industry. Unless your company is one of that industry’s established giants, you are going to have to do something special to make yourself special in the eyes of a potential customer. Especially as a new company, but also for other companies as well, it is important to figure out what's unique about your business. Why should a potential customer choose you over a competitor? It could be your price points, your quality, your branding, your customer service, and many other things. As veteran marketer Jean Gianfagna puts it, “marketing is how you tell the story of your business to your prospects”. Use storytelling to create compelling narratives about your expertise and quality. Not just in your marketing campaigns, but also on your website. Your “about us” page is an especially important part of your website, where you should utilise storytelling techniques to sell yourself to prospective clients and customers. Obviously, nobody wants to set stupid goals. We’re talking about the acronym SMART: specific, measurable, achievable, relevant and time-sensitive. Again, this could be especially applicable to new businesses, but can also be applied to older companies. As marketing has well and truly moved into the digital age, everything is measurable by clicks and time spent on pages, and so much more. This is something you should take advantage of. You should set SMART goals for just about everything you do. Marketing, social media, content created, and more. When you find your results after evaluating, you can optimise your weak points, rinse and repeat. Practice makes perfect! Content is king in today’s marketing climate, and it can be created to serve so many different purposes for your business. Creating good content consistently will be a cornerstone in any business’ inbound marketing strategy, and can be a very powerful way to drive large amounts of traffic to your website. Related: How often do you need to blog to build a new community? Content also encompasses social media marketing and other outbound marketing measures. Also consider the fact that content writing can be utilised to remove possible roadblocks in the buyer’s journey. For example, your company can analyse where in the funnel certain customers opt out, and try to counteract that. You can write “how to” articles, showcase customer success stories, produce videos showcasing your products, and so much more. Don’t underestimate the ROI great content can have for your company for years! It should go without saying that lead generation is extremely important for any business, but it is especially crucial for new businesses or small to medium companies. One of the most common lead generation methods, of course, is to gather emails through having people sign up for a newsletter or a white-paper. There’s a whole universe of ways to generate leads beyond just those two, though. You can even use Instagram Stories for lead generation now! Acquiring leads is not the same as making sales, of course. Some - or most - of the leads you make aren’t anywhere near ready, willing or able to make a purchase decision right then and there. This is why nurturing your leads is a key point. You can’t stick a seed in the ground and expect to wake up to an apple orchard tomorrow, and the same holds true for leads. The selling of goods and services often involves a long sales cycle. Be patient, and keep in touch with the leads you have generated. Send newsletters or marketing campaigns to them, and make sure they are solution oriented. “Your marketing strategy should include offers, tactics, or promotions to increase order size, frequency, and sales of related products and services”, Jean Gianfagna writes. Making sales is nice, but being able to cross-sell and up-sell your customers can be a tremendous driver of increased revenue for your company. After all that effort you’re finally making sales and growing your revenue. Think you’ve made it? Think again. This is just the beginning! Any con man with a silver tongue and a firm handshake can make a sale - the real test of both your product and your company is whether you can retain customers. Focus on building strong and lasting connections to your customers. Listen when they speak, and try to offer solutions. Make sure you are providing them with great value for money and great customer service. Building brand loyalty is a long and arduous task, but it will always be worth the effort.